What are baby crib mobiles for? 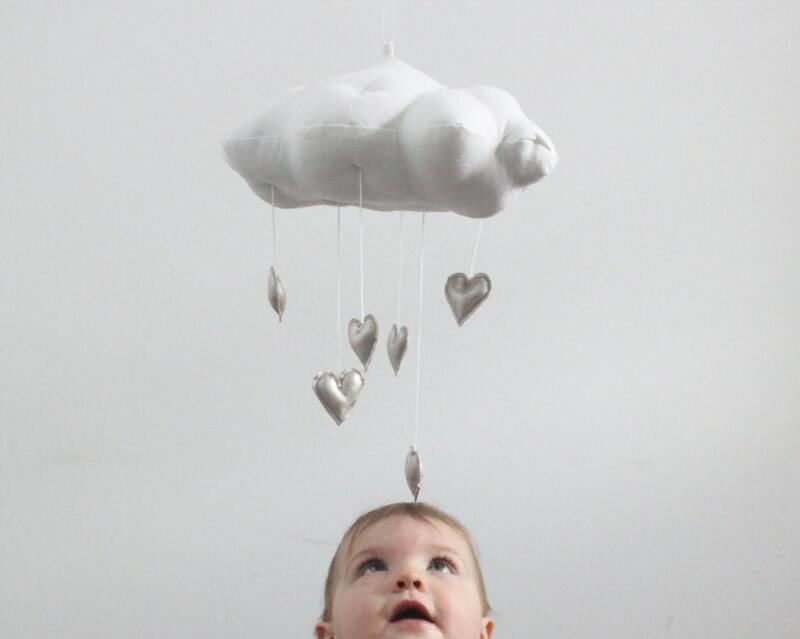 While some people think baby mobiles are more of a toy / prop, there are many that are created for different child development purposes including stimulation, aiding in motor skills (motion sensing) and more. However, I’m completely guilty of putting these things aside and going for the crib mobiles that are aesthetically pleasing. No matter what type of mobile you’re into, be sure to ready these safety tips for installing them and keeping your baby’s crib a safe place. If you’re going for more stimulating baby mobiles, I’d suggest those with more patterns (as babies can initially only see and black and white) and bold colors for once they can start to recognize them. If you’re going for something soothing, try the mobiles that rotate while also playing calming music or sounds. Now, for modern style. 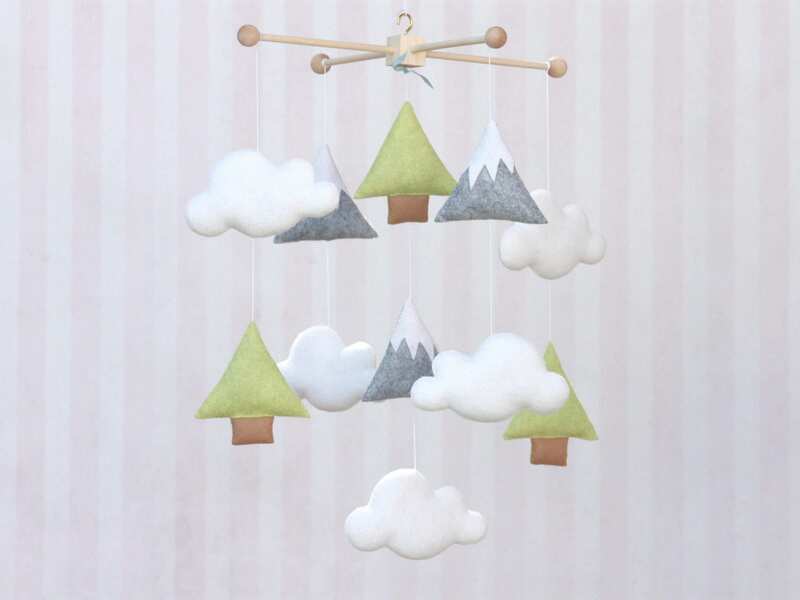 Here are a few mobiles that I love, whether you’d like to use them for your baby’s crib or more for hanging room decor! 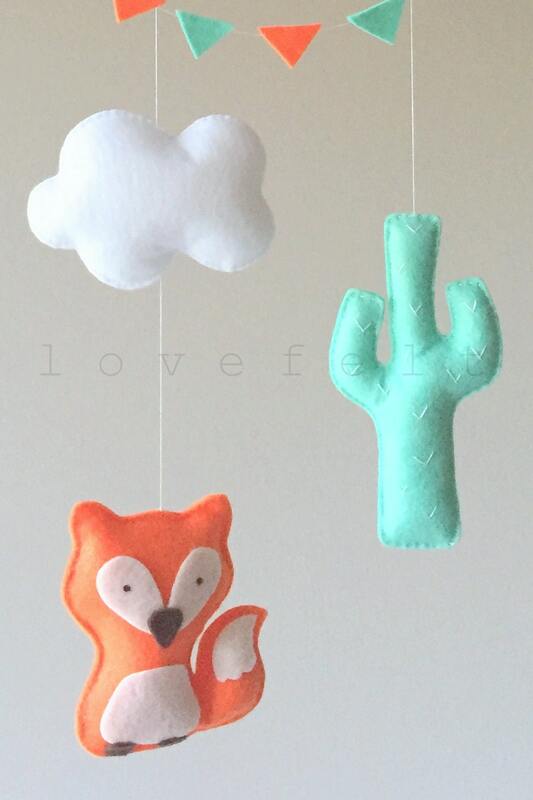 These each feature some adorable and dreamy clouds. Do you like baby crib mobiles? Who makes your fave? Ready to take your baby’s nursery design to the next level? Check out our services.